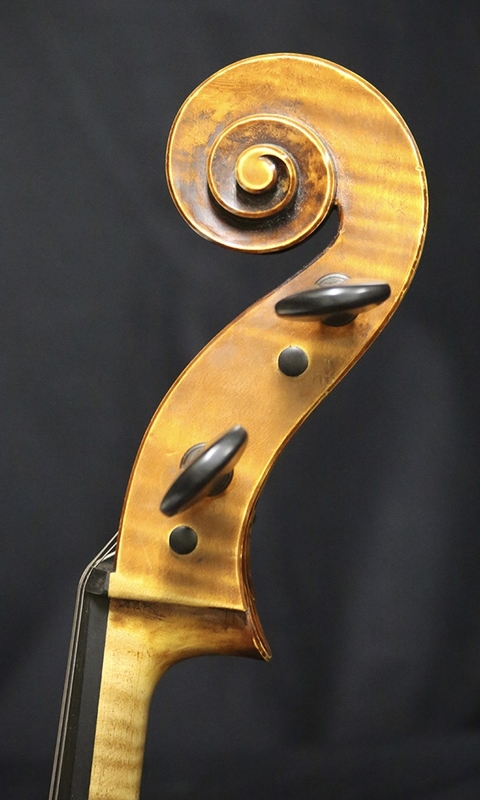 Description: This is a beautiful cello made by our very own, Hans and Nancy Benning. 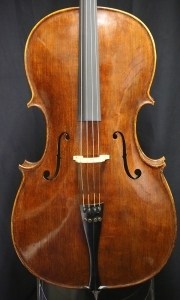 This is the last cello that Hans and Nancy made together back in 1998. Modeled after a David Tecchler cello, this instrument has large, full-arching giving the cello an incredible, rich, penetrating sound. 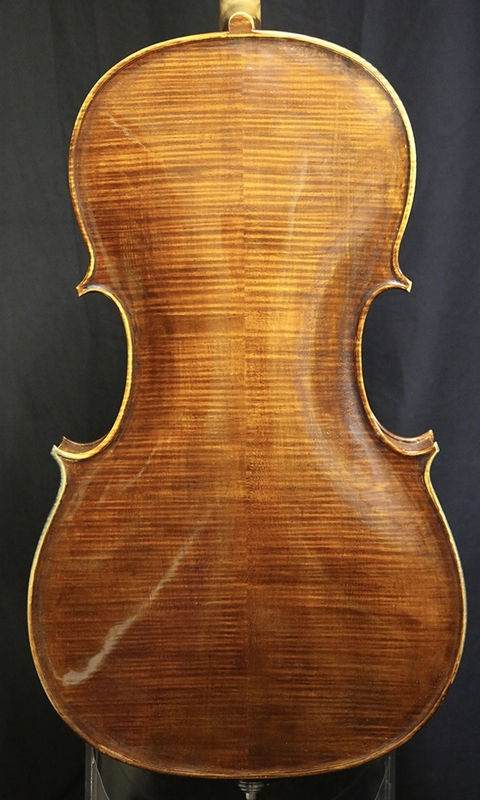 The back is formed from Bosnian maple, two-piece with deep, narrow flames. The top has been fashioned with aged, Northern- Italian spruce with stunning hazel-spruce markings. The cello has been played professionally and is in a wonderful state at this time. Back Length: 76.6 cm. Sting Length: 69.0 cm.